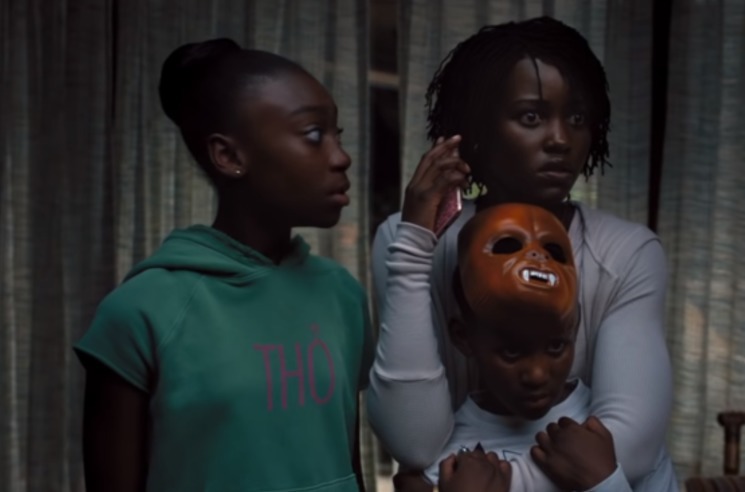 Jordan Peele already obliterated expectations with his 2017 directorial debut, Get Out, when he expanded his comedy horizons with a brilliant blend of surreal horror and scathing satire. For the followup, Us, Peele doubles down. It's a more overtly scary film than its predecessor, yet it's also frequently hilarious, making for a thrilling emotional rollercoaster. Us begins with some Stranger Things-style nostalgia: it's 1986, and a young Adelaide (Madison Curry) wanders alone into a hall of mirrors during a stormy night on the Santa Cruz boardwalk. She has a mysterious encounter with an apparent doppelgänger — which leads to some traumatic flashbacks when she returns to Santa Cruz with her family in the present day. Adelaide (played as a grownup by Lupita Nyong'o) is married to her happy-go-lucky husband Gabe (Winston Duke), and they go on vacation with their children Zora (Shahadi Wright Joseph) and Jason (Evan Alex). And even though Adelaide is being a bit of a spoilsport during the family getaway, Gabe still convinces her to come down to the Santa Cruz beach for some day-drinking with their pals Kitty (Elisabeth Moss) and Josh (Tim Heidecker). That's when the movie transitions from Vacation into something much more sinister, as the entire family end up encountering their creepy doppelgängers and a bloodbath ensues. But even amidst all of the scissor-stabbing and creepy dead-eyed stares, Peele masterfully releases tension, with Gabe's goofy antics and a couple of outrageous, cathartic death sequences. There aren't any full-blown jump scares, as Us effectively uses horror tropes — think Halloween's slow-paced pursuits and Psycho's dissonant strings — without seeming schlocky or manipulative. Us eventually comes around to a larger social commentary about the American Dream, but it's not as clear or as biting as that of Get Out. The takeaway here isn't the message: rather, it's the visceral thrills and the unexpected moments of levity. Peele clearly knows his strengths, and he's playing to them brilliantly.